Oh my Gosh! Well no, not really. So! Hallelujah! Praise be the lawd Jesus and all that! My very first make up product review! I was really excited about doing these since I've been buying a lot of make up lately. But this first one.. Is not really a positive review. 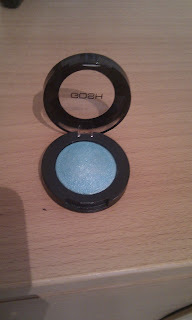 I thought that these two Gosh eyeshadows I bought will be really amazing, but..
And now for the pixie fart eyeshadow called aqua. I think they completely forgot to add colour to it. It looks absolutely delicious in the eyeshadow holder, but when you apply it to your skin, it just looks like a pixie farted. White with some blue-ish green added. Brilliant! 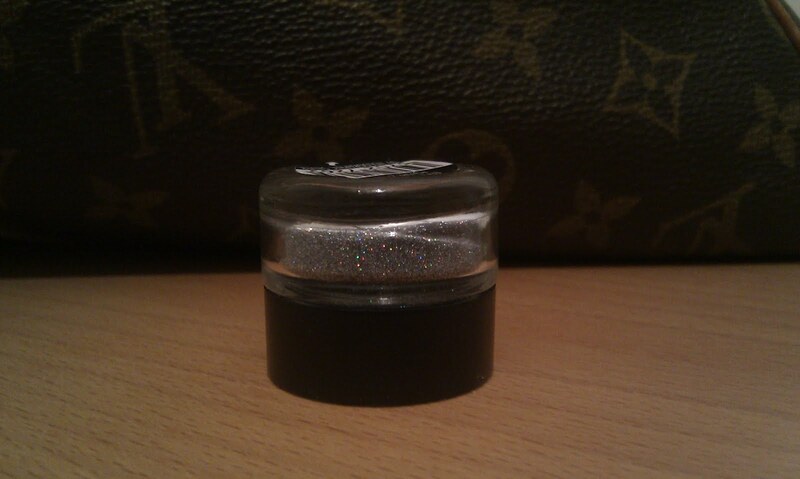 What the hell do I do with such low-pigmented crap? 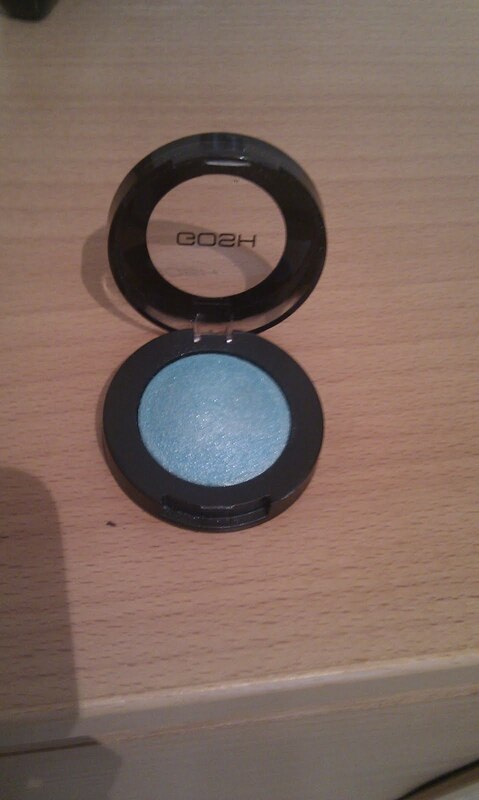 Even the 120 colour palette from eBay is more pigmented than that is, AND IT WAS CHEAPER AND FROM F*CKING HONG KONG. I was planning on buying the Steel effect powder, but now, I most likely won't unless I'll find it on a sale and try it out. Gosh, you really dissapointed me. Okay betch, this blog will be one of those, ranting blogs, mkay? I was so tempted to shout at her and say gurl, it aint my fault a person like yourself cannot afford a bag like this, okay? But I'm a lady! So alas, I didn't say anything. So we went to the cashier and all that, and as I was walking to the ATM, these two cunts re-appeared infront of me and tried walking over me, and at this point, I swore at them. ^_^ But wait, this is still not over!! At the ATM, I was taking out cash, a woman behind me kept sighing overly loud and of course in the most fake way possible. 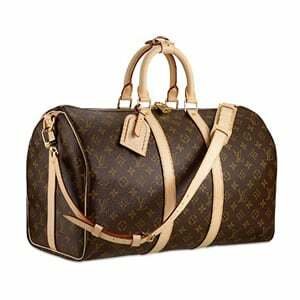 As I walked towards her, (she kept looking at my LV) I said, if I hear you sigh one more time, I will smack you with my bag. After that I went to buy some Rosé wine for myself. I finally recieved my shoes for my amazing trip to Helsinki later this month. I began to get nervous about it getting lost in the mail, but thankfully a.. not so moist mailwoman brought it to the door just 30 minutes ago. I do have to say, gurl, the shoes are just beyond amazing, only thing though is I have to practice to walk in them. I am not sure yet if I shall modify them, but we'll see! I shall be writing more drag blogs soon, well, tonight actually. The first two blogs will be about who has inspired me to the core, and thanks to these two, I am the person who I am today. Eventhough I haven't exactly chosen the same style as they have. 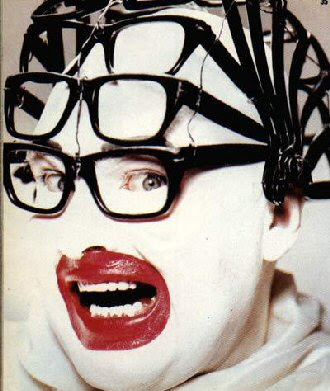 They are, of course Leigh Bowery and Divine. That's about it for this short update, please stay tuned for mooar!